Our shop is everywhere in Hua Hin attraction, such as Hua Hin city centre, Vana nava Waterpark, Bluport , Tamarind market, and in many events and festivals. 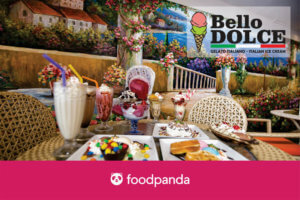 Bello Dolce Ice cream Parlor in Hua Hin Market Village. It locates on Basement Floor, Hua Hin Market village, near Food court. Bello Dolce Night Market , Hua hin. 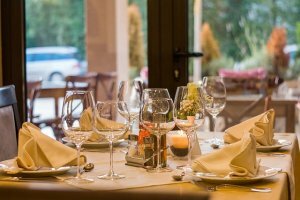 are located in one of the busiest place in Hua Hin. 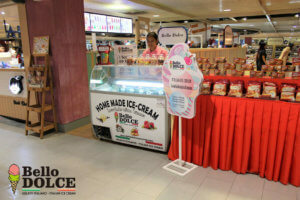 Our small ice cream parlor are here to welcome you through food paradise of Thailand and great shopping area. 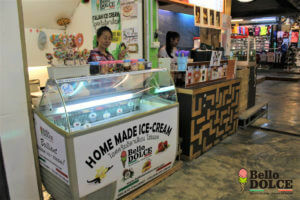 Our Ice cream also supplies ice cream in a restaurant around Hua Hin.